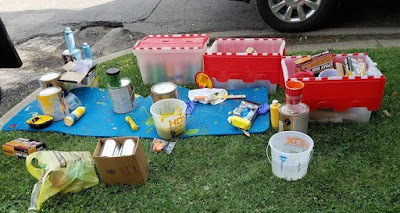 It takes a lot of supplies to redo a mural! 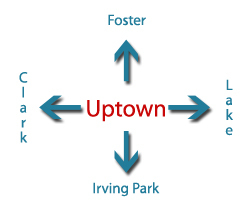 It's good to see parts of Uptown's past being restored. 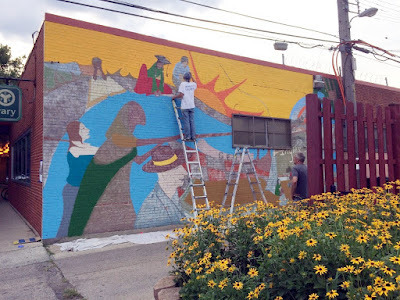 And while this isn't on the scale of the Uptown Broadway Building or the Bridgeview Bank Lobby, we are happy to hear that a long-time goal of the Friends of Bezazian is being realized. 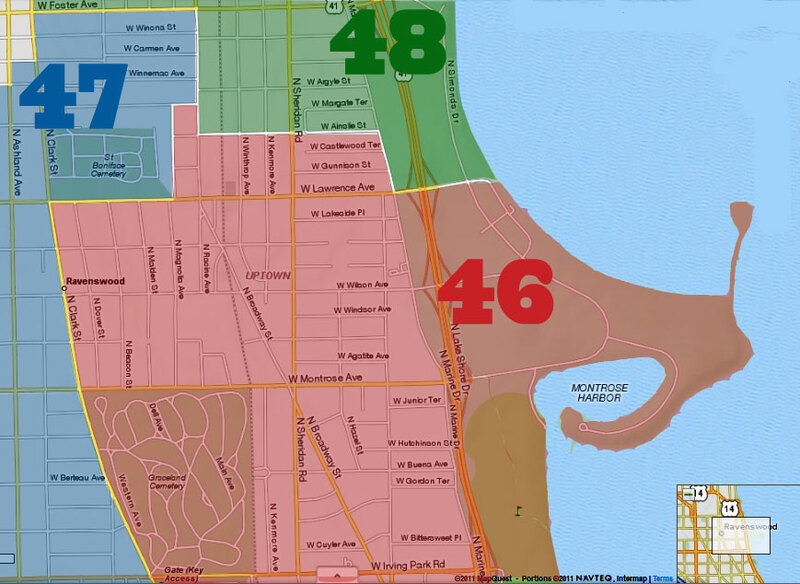 "Saturday was a big day for the Bezazian Branch Library [1226 W Ainslie]. 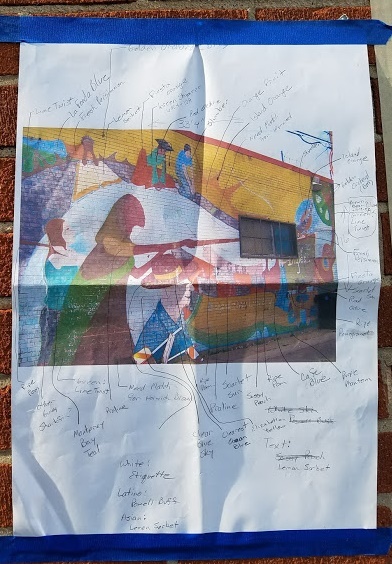 From its inception, the advocacy group for the branch, Friends of Bezazian, singled out restoration of the mural on the east side of the building as a priority. Today the work began! We are excited to have it happen as we celebrate the branch's 60th year. 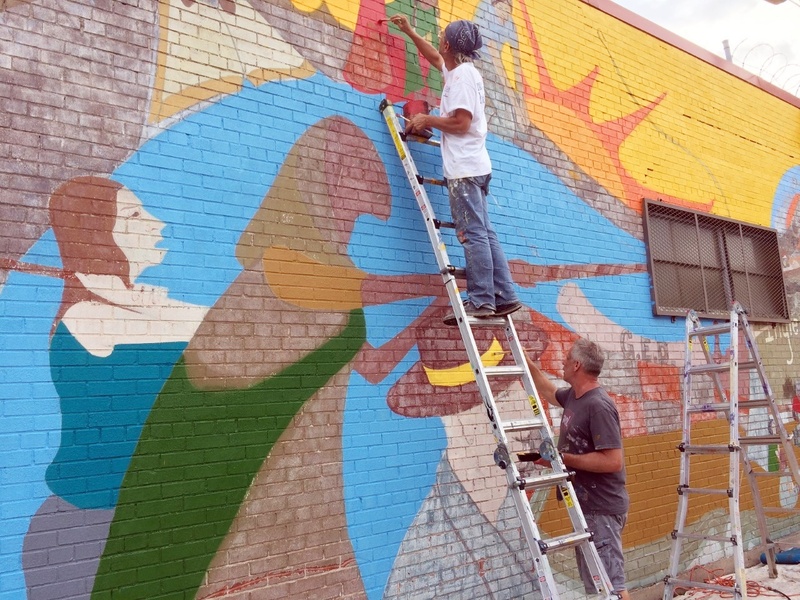 Muralist Tony Passero and his assistant Jerry began the process of making the mural vibrant again, a project that will take approximately two weeks. 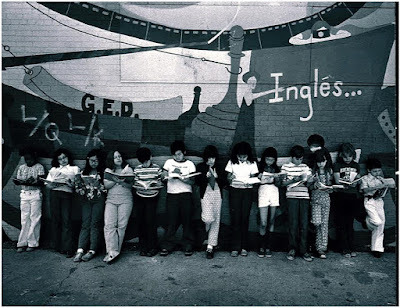 It was designed in 1974 by a Chicago artist, Janis Pozzi-Johnson, and was painted by local children. But 43 years of sun took its toll and the mural has faded badly. You can see a photo of it in 2010 here. It got even worse during the past seven years. We are so happy to see bright colors on that wall once again. Tony took minute paint scrapings from the mural and ran them through a computer program that was able to ascertain what the original colors were. The restoration will be a two-week process that will include applying primer paint, repainting, letting the mural cure, and then applying a protective coating to preserve the colors and prevent damage in the future. 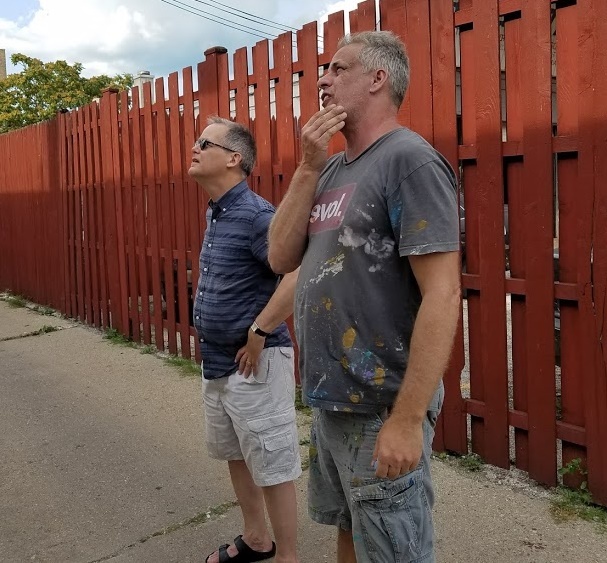 We are so pleased to have the original muralist, Janis Pozzi-Johnson, return to the Bezazian Branch on Wednesday, August 9th, at 1pm, to meet Tony Passero and to consult with him. We invite your readers to come meet both of them at that time and learn about the mural, its history, and its future." Tony and Jerry will be hard at work, weather permitting, for the next couple of weeks. Stop by and say hi! In the years since she designed the mural, Janis Pozzi-Johnson has held numerous solo and group art exhibitions both nationally and internationally. Tony Passero is a Chicago-based muralist and graphic designer. He has recently done commissions for Major League Baseball/the Cubs, Major League Soccer/the Fire, and the K9s for Cops public art exhibit that is currently displayed on Michigan Avenue.